Yup. Changing Times-Changing Worlds folk who read Tarot and noticed that the theme this year is change may have been thinking about the Tower. With a name like ours, and a goal to change the world (to make acceptance of the “occult” but natural parts of it more accepted), why did it take us 9 years to actually have change for a theme? Part of it may be that it was already covered by our basic goals, and also, it’s a challenging concept. Prosperity, Joy, Healing, those are more likely to attract people. 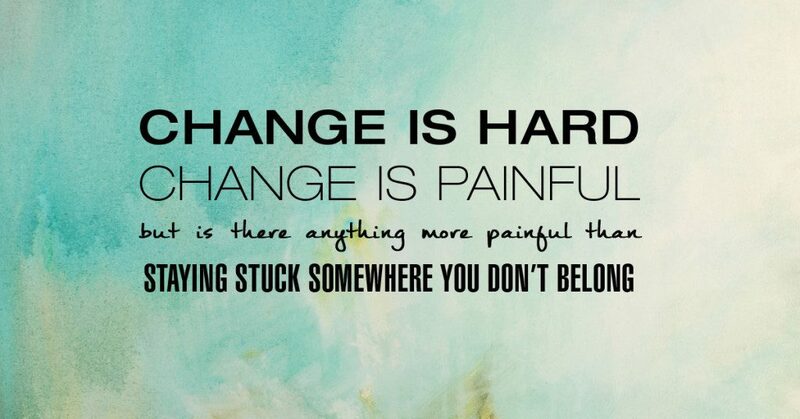 Change can be unpleasant. 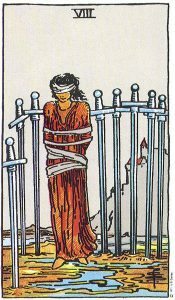 And yet as those who read Tarot know, sometimes even the most catastrophic change is ultimately good for you, even if initially painful. It gets you out of old patterns that may not serve, it frees you from old restrictions, it brings new knowledge. Our family has an expression: “If the gods tap you on the shoulder and clear their throats, you should take the hint, because if you don’t, they will bring out the Cosmic 2×4”. 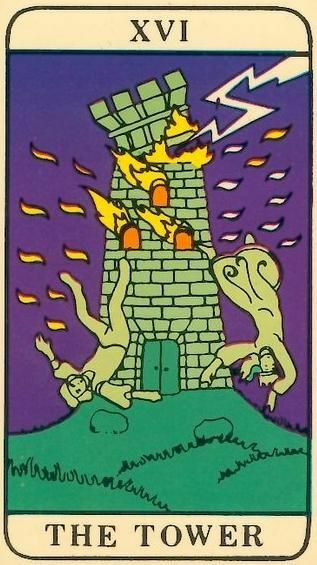 That’s what the Tower is, and indicator that you’ve been ignoring all the prophecies, omens, hints, etc. that your guides, ancestors, gods, God, (or whoever helps you) have been sending your way, and they’ve decided you need the “clue by four” to get you back on the path you should be on. Expect revelation. Also expect a lot of work, because when the old is torn down, there’s rebuilding to do. Oh well. We’ve spent many years building a base for this conference, this community. It’s time to expand and make whatever changes we need to make to better meet our needs. To foster communication between the communities who study and practice these. 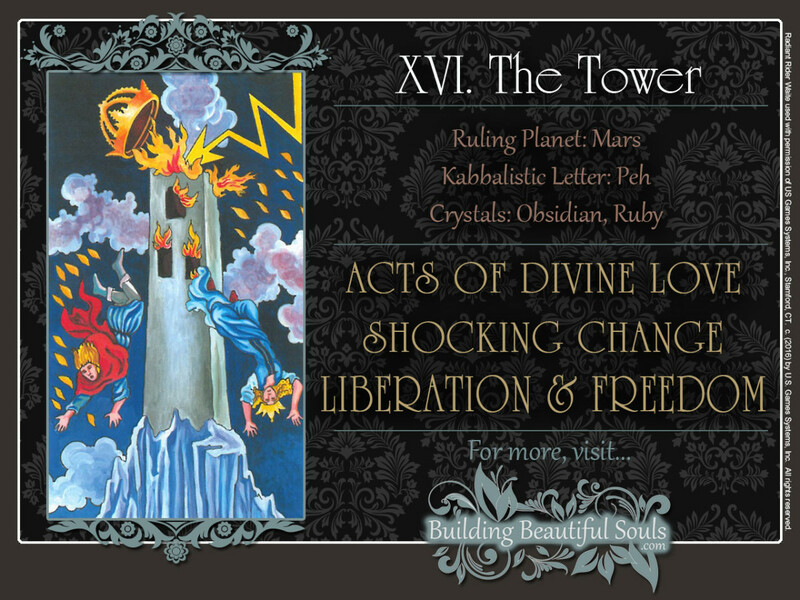 This entry was posted in Theme images Sundays and tagged change, Goals, knowledge, occult, pain, revelation, Tarot, tower. My husband used to say “Pain is your friend, it tells you when you’ve done something stupid.” My way of looking at it is that pain is your body shouting. Your body sends you messages with sensations: you need to eat, no- don’t eat that! you need to drink, you need to empty your bladder, you need to move or your leg will fall asleep, there’s something sticking into you- move back. Most of these things are noticed below the level of perception, but if we ignore them, the message gets stronger and becomes pain. Whether physical or emotional, when something is hurting you the message is that you need to change something. Learning to avoid pain is smart, but learning to listen before things gets painful is wise. Staying in a painful situation is almost always going to damage you more than trying to get away. Don’t let fear of unknown dangers keep you from avoiding the ones that are already manifesting. This entry was posted in Uncategorized and tagged change, fear, pain. One of CTCW’s favorite events, this space is held with a variety of intentions and benefits the practitioners and recipients alike. We open this space for practitioners who would like more experience with a new-to-them modality or with a modality or technique they may not have used in a while as well as those who would like to join us to give and receive a session. We also welcome people who are in need of a healing boost to come and experience a modality they may not have experienced before. During this time, sessions will be shorter (although not necessarily less effective) and this is also a time when we learn from each other and depart feeling relaxed, empowered, grateful, and all good things. Healing practitioners who volunteer their time for this often learn tips and new techniques to add to their healing toolbox. Note: Open Healing sessions are not meant to replace full sessions given by our amazing practitioners who are available throughout the conference. Practitioners who wish to participate should email Maryalyce at CTCWplanning@gmail.com with a short bio & healing modalities being offered. Recipients who would like to be worked on should use the sign-up sheets posted on the door of the Healing Room. This entry was posted in Uncategorized and tagged CTCW, healing, healing room, Maryalyce Merrit, modality, pain, relax, sharing, technique. It’s supposed to be easy. It’s natural to be happy. It’s also natural to be healthy. But sometimes there are environmental problems that make it a bit harder. Pain is your friend- it tells you when you need to pay attention to a problem: Hey, your body tells you: This is too hot! You stepped on something sharp! You shouldn’t eat this again! Direct extra healing energy to this spot! But because, like any alarm, it is designed to get your attention, it can drown out other things, the good things that make you happy. You shouldn’t ignore the pain- it’s a valuable message (although a headache is not your body’s signal that your blood level of asperin is too low, usually you’re dehydrated, or have had to little sleep, too much stress, or something else). Emotional pain may be telling you to change jobs, or fix your relationships. At the same time, when you’ve dealt with the problem, don’t go looking for more problems. Do something that soothes you, that comforts you, that makes you happy. This will build up you immune system and reduce your pain. You can’t just wait for it, you have to move toward the positive. Make it a habit. You may not be able to recapture your lost youth and enjoy spinning until you fall down when you are in your 80s, but you can still blow bubbles, and giggle, and do other things you enjoyed when you were younger. You do have the time. You don’t have the time to waste just concentrating on negative stuff. Every night before you go to sleep, think of something that would give you pleasure to do the next day, and do it. 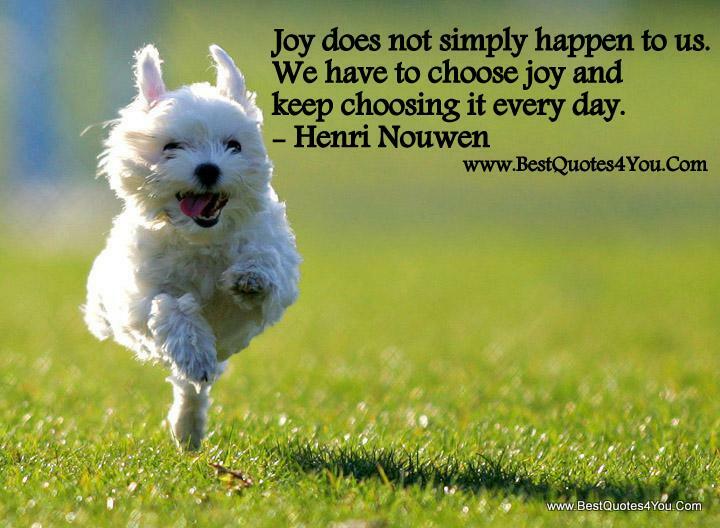 This entry was posted in Theme images Sundays and tagged choose, energy, focus, happiness, headache, Joy, pain. Good Stuff Here! Blog posts and announcements!